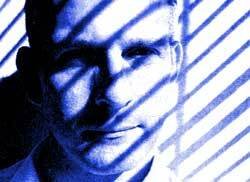 > Brian Paddick - the poem! Progressive Brixton cop Paddick attracted controversy and huge local support (83%) for his unorthodox solutions to tackling crime in one of the UK's toughest areas. When he made the unprecedented move of addressing some of his community directly on our bulletin boards, he was rewarded with a rich, intelligent and robust debate, earning the respect of many involved. Sadly, this innovative and productive approach proved too much for certain tabloids, who embarked on a scurrilous homophobic slur campaign that resulted in Paddick being removed from his post.